If you’ve played one of the previous Ultimate Ninja Storm games, you’ll find very few surprises in the way that the fourth entry plays out, but this is a refinement of everything that CyberConnect2 have built before. With Story, Adventure, Collection, Free Battle and Online Battle modes there is a deluge of content to submerge yourself in, while it plays out with the best visuals yet seen in the series. The game’s story mode follows the closing sections of the Naruto Shippuden anime, wrapping up the narratives of Naruto and Sasuke, and the Hidden Leaf Village. Fans of the series will likely find it utterly enthralling taking control of some of the key battles, and with this portion of the anime covering much of the history of the ninja clans, it rounds everything out very well. Of course, there’s likely to be too much for newcomers to grasp onto, as they talk about Uchiha’s, Hokage’s and Ultimate Jutsu’s, and though the game essentially starts at the very beginning, at least historically, there’s a lot of crucial content you’ll miss out on without either watching the series or returning to the last generation’s Ultimate Ninja Storm games. Whether you understand any of it or not, you can still be dazzled by the sheer spectacle of some of these encounters, which are presented in a fantastic cel-shaded art style that excellently capture the look and feel of the series. Parts of the narrative look less spectacular, pulling largely still images from the anime, though the full voice acting improves matters, with both Japanese and English audio. The storytelling is at its best when presented in the game engine, and these moments shine, though it’s disappointing that the whole story mode isn’t presented in this manner. Taking control of your chosen Ninja, combat largely revolves around firing off combos with the Circle button, while building chakra with the Triangle button to make use of your Jutsu . Though each character’s basic controls are the same, there’s plenty of variety in terms of speed, weaponry and Jutsu to make things interesting, and to tempt you to try them all out. You can also choose up to two support characters that you can switch between, and they work in a similar fashion to the Marvel vs Capcom series to assist you when you need them. As with the earlier games in the franchise, each character also has an Ultimate Jutsu which is the pinnacle of their arsenal, both in terms of damage and visuals, as well as Awakenings that see them become more powerful. However, the option of different fighting types seen in the last game, Ultimate Ninja Storm Revolution, has been removed. Besides the standard combat, the Story Mode is interspersed with free battles which are Musou-style encounters, as well as occasions where you’ll take control of the immense Nine-Tailed Fox, which can both be a lot of fun and help to add more variety to the action. Ultimate Ninja Storm 4 features the most packed roster of character in the series, and you’ll be hard pressed not to be able to find one of your favourite characters – unless it’s gruff Ninja dog Pakkun, perhaps. No matter who you choose, combat is intense, fun and spectacular. Interactive Actions break up some of the key moments in the story battles on offer. In essence, they’re QTE’s that require breakneck speed in order to achieve the highest grade, and they add immensely to the spectacle of each encounter. It’s here that the true flavour of the anime shines through, and fans of the series will be enthralled by the on-screen action. Achieving the highest grades awards stars, which in turn unlock Secret Factors, which are special scenes only viewable to those playing well. As the stars don’t carry over to other chapters there’s an impetus to get it right, or to return to it until you do, though the Secret Factors tend to only turn up small additional insights or still imagery. The Adventure mode features events set throughout the anime’s run, which is a huge boon for fans. You begin with a younger Naruto heading out on a variety of missions, and as with the earlier entries in the Ultimate Ninja Storm franchise, you run through key locations, with various NPC’s to talk to and take quests from. Overall it’s a relaxed and fun mode interspersed with some of the anime’s iconic battles, with plenty of flashbacks to provide context for the more forgetful amongst you. 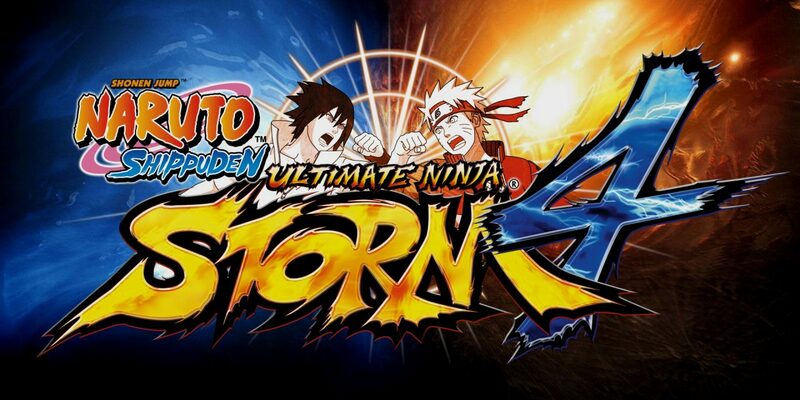 There will be moments that previous Ultimate Ninja Storm games have covered which may impact on long-term fans. Taking combat online allows you to pit your chosen ninja against players around the world, and it’s just as fun as the offline modes. You can take your pick between Ranked or Player matches, as well as League, Tournament and Endless options, with earned currency from here and the offline game modes then available to plough into customisation options for your character and your personal Ninja Info card. There were some moments of lag when playing online, and at least one instance where the game seemed to crash as a new round was due to begin, with both myself and my opponent unable to do anything for about 30 seconds. However, the day one patch includes fixes designed to iron out these kinds of online kinks and give as smooth an experience as possible, and online combat ran smoothly on the whole. Naruto Shippuden: Ultimate Ninja Storm 4 is a fitting finale for the game series and for fans of the anime. With a great range of content, a huge roster, and spectacular visuals, this is certain to be a hit with those who have a history with the franchise. Unfortunately for outsiders though it’s likely to remain a beautiful yet incomprehensible brawler.